Hiking, biking, gannets and golf. 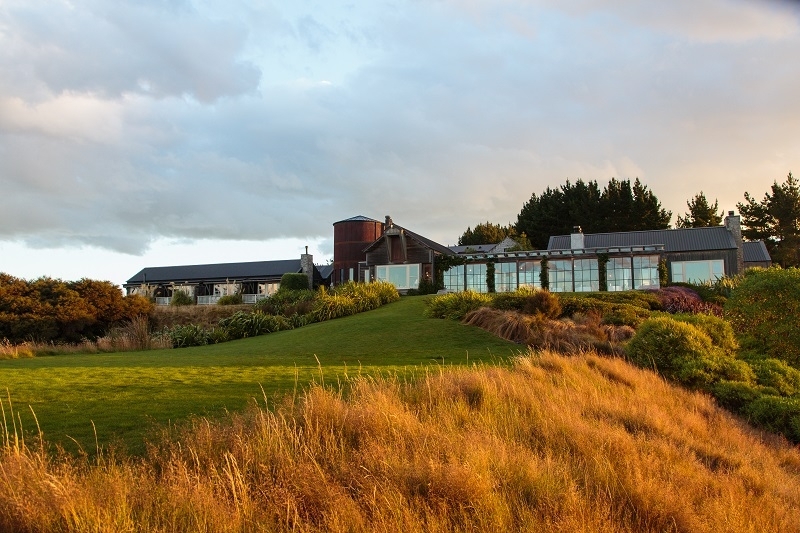 The Farm at Cape Kidnappers is both luxury lodge and working farm – in fact, a 6,000 acre farm of rolling green hills and wide open spaces that drop dramatically to the sea at their coastal edge. This is a place of raw natural beauty, highlighting the extensive selection of outdoor activities available both on and off the property. It draws nature lovers from around the world. In the lodge, polished wooden floors, large river rock fireplaces and contemporary artworks create welcoming spaces just made for relaxing after a big day in the great outdoors. The lodge buildings are gathered together on an open hilltop overlooking the sea, in full view of the oceanic weather dancing across the horizon. Accommodation is in 22 luxurious suites and rooms – some in the main lodge, the rest strung along the hill and ridge top – and the gorgeous Owner’s Cottage. The farm has its own spectacular 18-hole golf course, designed by well known course designer, Tom Doak. 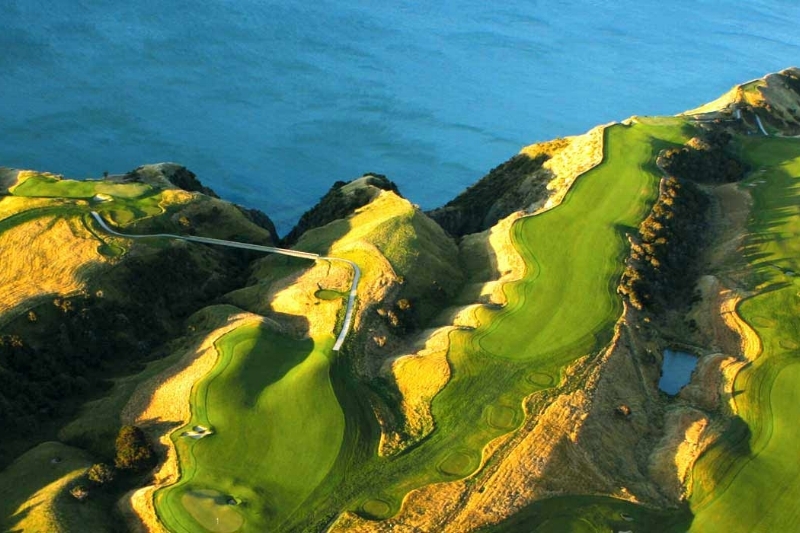 The fantastic clifftop location may have you taking your eye off the ball at times, but every hole will be memorable. There are several golf packages available. 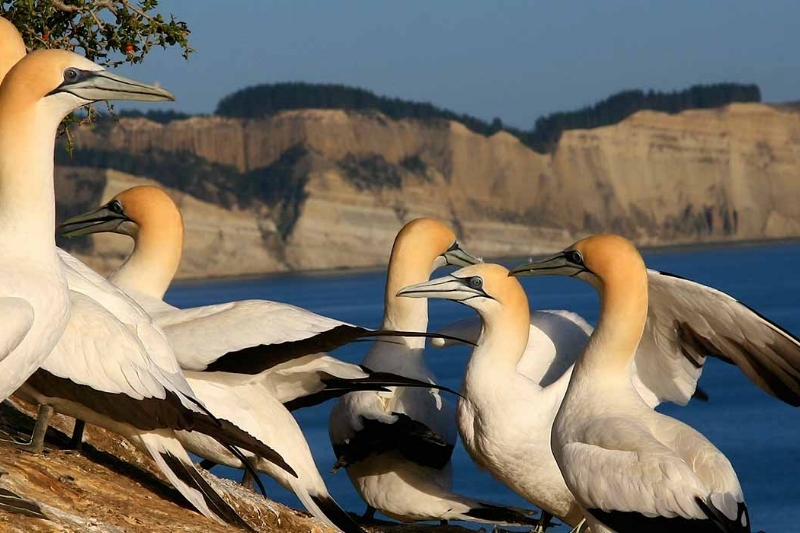 Cape Kidnappers is also home to 20,000 gannets, making it the largest and most accessible mainland gannet colony in the world. There are also plenty of trails for walking and hiking, horse trekking, 4WD quad bikes and mountain biking. 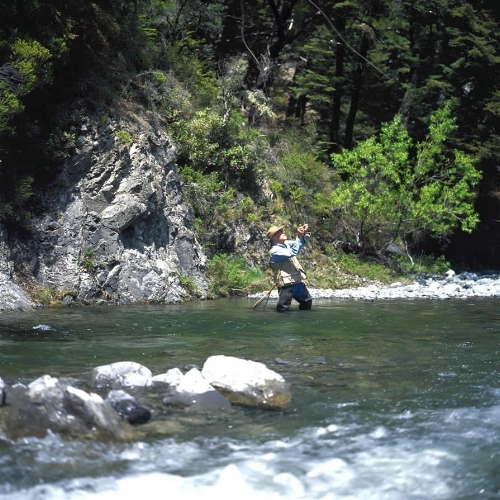 Further afield there is the fantastic Hawkes Bay wine region, the delightful Art Deco city of Napier and world-class wilderness fly fishing. From November to May there is also the very special opportunity to experience the Kiwi Discovery Walk where you will observe your guide working with kiwi in the wild. the Owner’s Cottage, a short distance from the lodge, is the ultimate in luxury. All 4 bedrooms have private balconies, fireplaces and large bathrooms. The living room has a comfortable dining area and a generous kitchen. There are also two smaller sitting rooms, each with a fireplace, and a jacuzzi out on the stone terrace. The Owner’s Cottage can be taken as either a 2 bedroom suite or a 2 or 4 bedroom house. Rates include accommodation, pre-dinner drinks, gourmet dinner, full breakfast and use of all lodge facilities (except golf and spa treatments).